One of the bigger surprises of 2014 for us was discovering the band Seagulls’ debut LP Great Pine. That’s why when they took it down from their Bandcamp page, it was also a big disappointment. Well, the band will be releasing it on vinyl via Yellow K Records so if you slept on it the first time around when we made it The Deli Philly’s September Record of the Month, you’ll have a second opportunity to soak in its dreamy, delicate vocals and tastefully arrange mix of acoustic instrumentation and 8-bit flourishes. Until its re-release, you can read our interview with the group HERE from when they recently won our Featured Artist(s) Poll. One of the bigger surprises of 2014 for us was discovering the band Seagulls’ debut LP Great Pine. That’s why when they took it down from their Bandcamp page, it was also a big disappointment. Well, the band will be releasing it on vinyl via Yellow K Records so if you slept on it the first time around when we made it The Deli Philly’s September Record of the Month, you’ll have a second opportunity to soak in its dreamy, delicate vocals and tastefully arrange mix of acoustic instrumentation and 8-bit flourishes. Until its re-release, you can read our interview with the group below from when they recently won our Featured Artist(s) Poll. Matt Whittle: I learned saxophone in elementary school; then took up guitar and piano some years later. I actually taught Sean some piano when he was a teenager. Years later, Sean and I reconnected to play some video games. Sean Cohen: Matt asked me to play trumpet for a group that had 8-bit/chiptune sounds, so I was really excited to combine two of my passions. There's nothing better than collaborating and having fun with a cool group of people to create something together. TD: Where did the band name Seagulls come from? MW: I just really, really like Seagulls. I feel like they get a bad rap because they live at the beach, steal food from people, and poop on everyone. People’s hatred for the birds is actually just borne out of jealousy. So, we’re just trying to do good in the name of our seagull brethren. MW: I’m a huge fan of Grandaddy. They came and went in the late 90s/mid-2000s. I really love the way they blend synthesized and organic textures, and the way they match form with content. Chris Lipczynski: My influences are always changing. Lately, I've gotten deep into country and folk music after visiting a close friend in Austin, TX. Bob Wills and His Texas Playboys are huge for me at the moment, also Dave Van Ronk, Hank Williams, Leadbelly, Loretta Lynn and Willie Nelson - I think a bit of that came through in the solo for "Distracted." MW: As far as locally, we’re all into Tutlie. If you haven’t seen them live, you need to. In 2014, I really liked the albums by Quadron, FKA twigs, and anything produced by DJ Mustard. SC: I'm currently listening to an interesting mix of artists: La Sera, Johnny Cash, George and Jonathan, and Weezer just to name a few. SC: I can't believe I am publicly admitting this, but the first CD I ever bought was a Simple Plan album when I was in elementary school. Appropriately enough, the first concert I ever went to was a Blink 182 show. Derek Salazar: Both were Randy Travis - the concert was in 1990 in Dallas, TX, and the album was Always & Forever. Natalie Vogel: The Citywide special. CL: The accent. A lot of my family is from South Philly, so I grew up thinking a TV remote was actually called a "whatayuhcallit." Also, the Mexican food in South Philly. CL: Unused trolley tracks - I broke my wrist last fall when my bike tire got stuck in the tracks. This has happened to a lot of people, and someone should really tear those suckers up if they're defunct. I also cringe when people shoot music videos from the median on Broad Street. Does that count as hate? TD: What are your plans the rest of 2014? 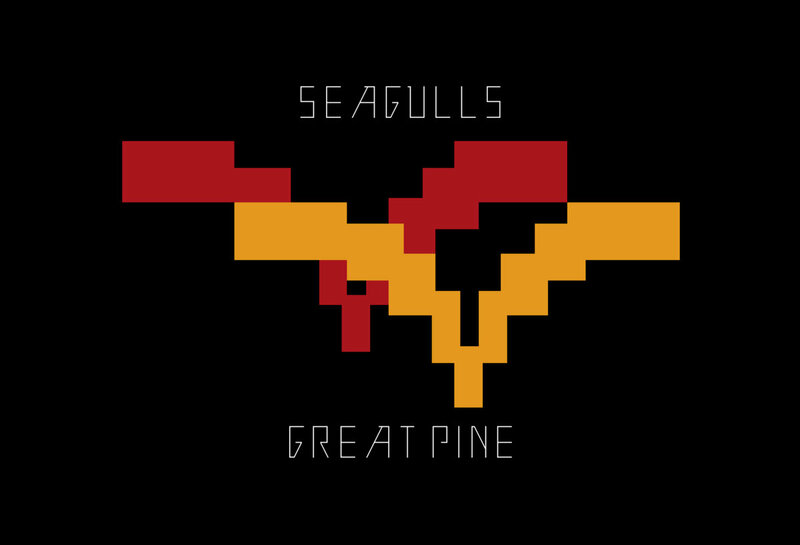 DS: With the release of Great Pine, 2014 was a pretty important year for us. We're in the process of finishing up some tunes for a 7" release, and have begun writing the follow-up to Great Pine. 2014 has been beautiful to us, but we're very much looking forward to 2015. 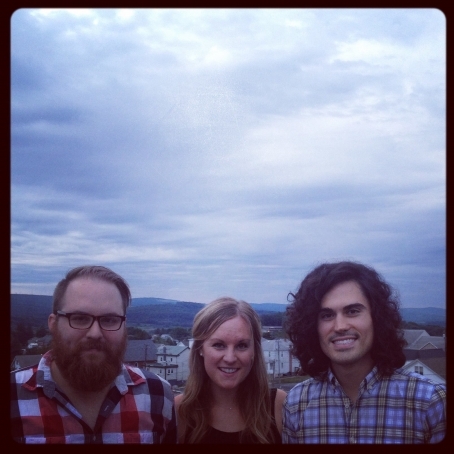 MW: With the support of Yellow K Records, we're re-releasing Great Pine - our debut LP - on vinyl. NV: …probably Josh's (owner of Yellow K Records) birthday party. For Josh's 30th birthday, his wife threw a surprise party, and asked a few artists from his label to attend and play. She and Josh had built a stage in their home with the hope that one day they would have a show there. The guests were so attentive; you could tell they were passionate about the performances. It was unforgettable. CL: Veggie hoagie from Chickie's Deli, 10th and Federal. That thing is unreal. Best sambo in the city. SC: One of my favorite delis makes a breakfast sandwich with sausage, egg, and cheese in between two slices of a French toast bagel with maple syrup. It's delicious. With spindly strings horning in the opening instrumental, “Dragoon” awakens Seagulls’ debut LP Great Pine, seamlessly transitioning into “Swimmin’,” a song that is initially given a steady-footed beat around which a more intricate and illuminating composition is built generating a peaceful yet purposeful layered sound, setting the tone for what lies ahead. “You and Me” plays like a surf-folk love letter, developing a warm, earnest vocal confession, while fitting nicely with the tug and pull groove of the scratching guitar and persistent bass. The vocal harmonies provide a sweetness accompanied by reserved bursts of trumpet and accordion-like effects offer a tease of nostalgia. “Love, Give” follows a similar theme as vocals, strings, and snap-percussion set a pleasant, pensive, strolling pace as echoing harmonies and backing vocals reinforce, “Love give your hands to me, for someday I’ll be on bended knee.” “Old Habits” maintains an up close lo-fi aesthetic and underlying 8-bit accents, but the perspective has changed, shining a light on the dark side of relationships and a groove that has a somewhat worn and dusty ascetic, enhancing the lyrics meaning - “Old habits, die hard or they never do/so keep lying til they all catch up to you.” A well-placed take on Big Star’s “Thirteen” incorporates the honest-loving sentiments of adolescence, falling neatly inline with the group’s heartfelt vocal honesty, while simultaneously acknowledging one of their potential influences. The record’s title-track “Great Pine” serves as a breath-catching ambiance builder before the turbulent “Holy Smokes” emerges. Enlisting peaks of aggressive kick-in-the-door instrumentation - particularly percussion between smooth stretches of vocally dominant valleys - in essence, layering pieces of clear skies between moments of violent storms. With spindly strings horning in the opening instrumental, “Dragoon” awakens Seagulls' debut LP Great Pine, seamlessly transitioning into “Swimmin’,” a song that is initially given a steady-footed beat around which a more intricate and illuminating composition is built generating a peaceful yet purposeful layered sound, setting the tone for what lies ahead. “You and Me” plays like a surf-folk love letter, developing a warm, earnest vocal confession, while fitting nicely with the tug and pull groove of the scratching guitar and persistent bass. The vocal harmonies provide a sweetness accompanied by reserved bursts of trumpet and accordion-like effects offer a tease of nostalgia.